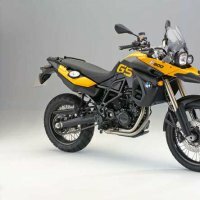 Read and compare owner reviews & ratings of BMW F800 GS 2010. 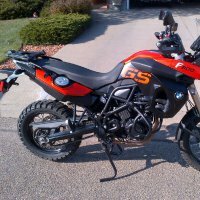 Vehicle specs, photos & video, pricing, and more! Lot of fun, generally reliable. Happy with stock suspension for 180lb rider, usually without much luggage. Had a case of sticky fuel injectors one time, Techron additive cured it within minutes. It's heavy when off pavement. Have dropped it dozens of times, with little damage, even though I have no crash bars installed. Handguards are THE MOST ESSENTIAL crash protection. 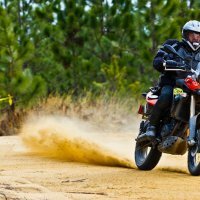 The Hyde Racing plastic belly pan provides the most important off-pavement protection, which is to prevent rocks kicked up by the front wheel from hitting the oil filter and oil cooler. Stock radiator guard is adequate.